Big Bang’s Seungri, who actively promoting in Japan with his stage name V.I, has made an explosive debut on the Oricon chart with his latest release. According to Oricon website, Seungri’s first Japanese solo album ‘Let’s Talk About Love’ debuted at the top of Oricon’s Daily Album Chart by selling 14,509 units on the first day of its release. 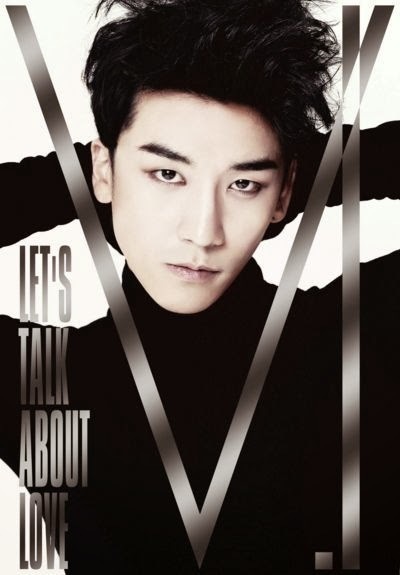 In addition to title track “Let’s Talk About Love” which is the Japanese version of his Korean single of the same title, Seungri’s first Japanese album includes his self-composed song “Sorani Ekaku Omoi”. The song has been chosen as the theme song for the upcoming UULA drama ‘Yubi Koi’.